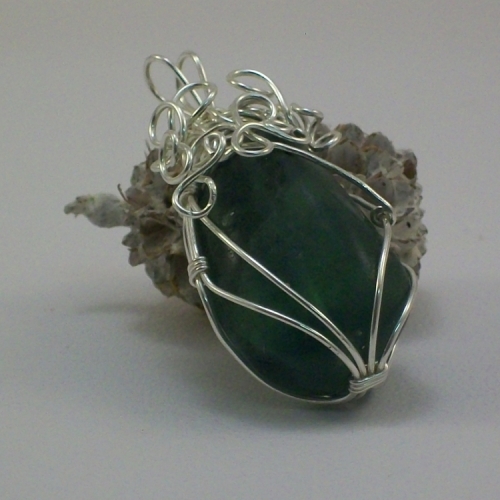 Tumbled Flourite nugget bead hand wrapped with wire. 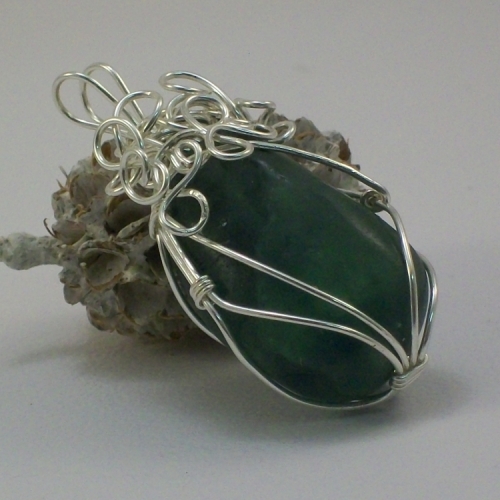 The Fluorite is pale green with a band of dark green around the base. 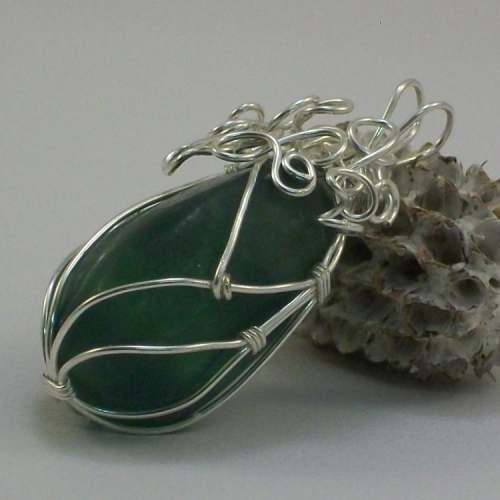 The pendant is approx 4.5cm x 2cm. 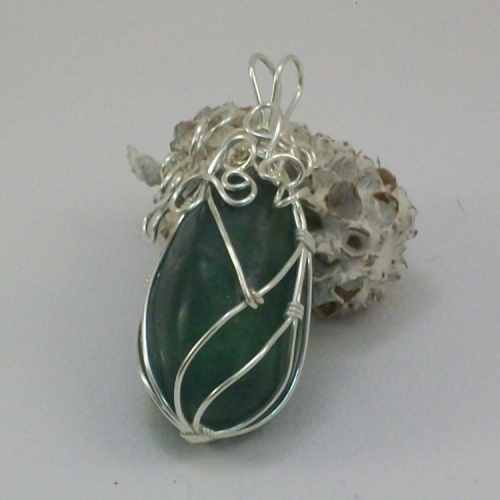 Made using anti-tarnish silver plated copper wire.